Willow, the little teddy bear who lives on Paradise Farm has decided to go on the river for the day so after he has taken care of all the animals on the farm, and after he has fixed a picnic lunch for himself, Willow goes down to the river, climbs into his little row boat and heads off. At Anyan Bank Willow meets up with his friend Finley and the two bears have the most wonderful time playing together, having a picnic , talking, paddling in the river and looking up at the clouds. 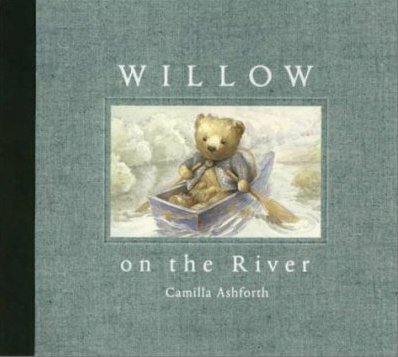 There is no doubt that Willow's little expedition is delightful for him and for the reader who gets to share in the experience through Camilla Ashforth?s enchanting artwork and simple, gentle text. Teddy bear lovers of all ages will love this little story.